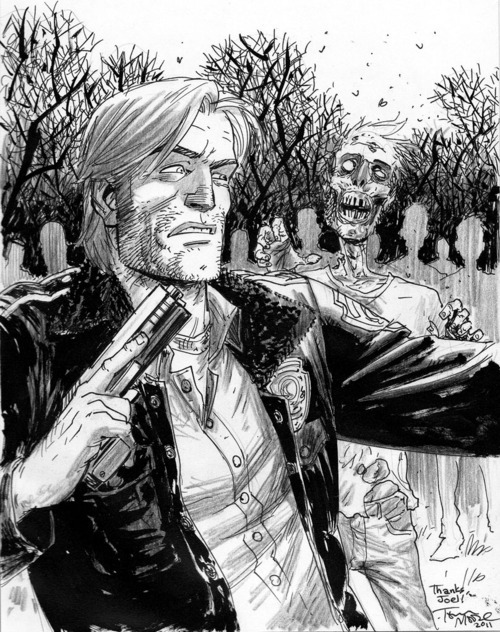 Rick Grimes is the main character and protagonist of the of the Walking Dead comics and TV series. He is played by actor Andrew Lincoln in the TV series. 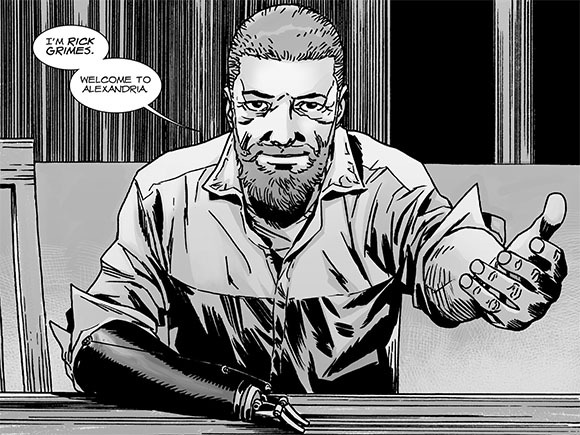 In the comics Rick loses his hand, and spends much of the series with a stump. There are not very many black and white comic books most are in color. I love some of the bright glossy color books but there is something very dramatic about the aesthetic of the Walking Dead. You read these books and the screams at you "Take me Serious".